While we've already reviewed what it's like to stream Netflix movies on the New Xbox Experience, we missed that there were 300 pieces of HD content right below our noses. Since then, we loaded up The Thing in HD and gave Netflix Instant Streaming HD our full once-over.How could we possibly miss the HD content, you ask? Well, it's not marked anywhere as HD. 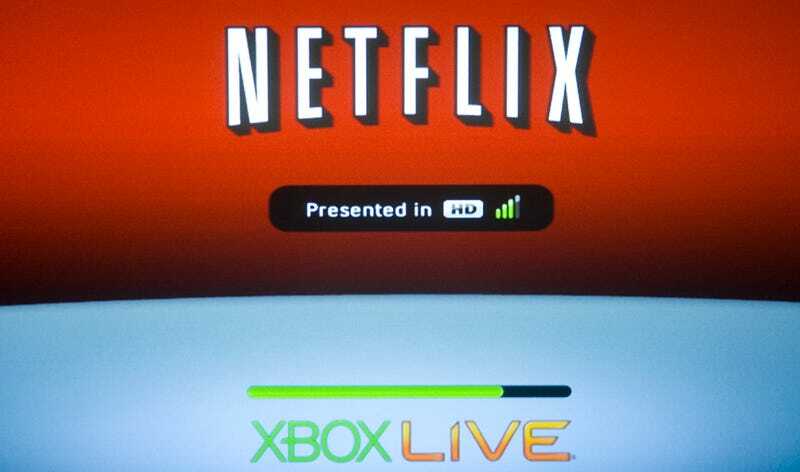 Neither Netflix's site nor the Xbox 360 is showing any discernible "HD" label on content until the moments when clips begin to buffer. Seeing as many of us may choose what we watch based upon the quality of feed, we hope this issue gets addressed soon. Right now it's a "feeling lucky?" situation. According to Netflix, streaming in HD requires a connection of 8mbps or greater. That's a problem for me as my connection maxes around 5mbps. So while I was still able to stream HD, I was in their second quality tier, not first. But still, the quality was very good. Compared to Netflix SD streaming, it's much sharper, but maybe even more important, the frame rate is far better. Netflix SD has noticeable breaks in motion, like a web feed. Simple footage I watched in Netflix HD was as smooth as television. As for sharpness, it looks like compressed HD normally looks. That means it's not as sharp as a good Blu-ray or OTA HD. But it's better than DVD. It looks like a crappy HD movie transfer, actually, somewhere between fine upconversion and best case scenario HD, probably leaning toward upconversion at my second-tier connection speed. But since buffers take only 15 seconds, I mentally deemed the quality excellent, and definitely light years ahead of Netflix SD streaming. There is one big catch in the user interface, however. Fast forwarding and rewinding have been completely disabled. Instead, you can only "skip" in 10-minute intervals. Ouch. Also of note, those who convert HDMI to DVI into non-HDCP compliant displays may have issues (as in, the video will not play). However, all of my streaming was performed fine through component cables, so there are definitely some strange exceptions going on with certification. So in terms of quality, the most important issue, we're quite pleased with Netflix HD streams so far. But as for supporting features, like fast forwarding and an easy way to differentiate HD content, there's some definite room for improvement.